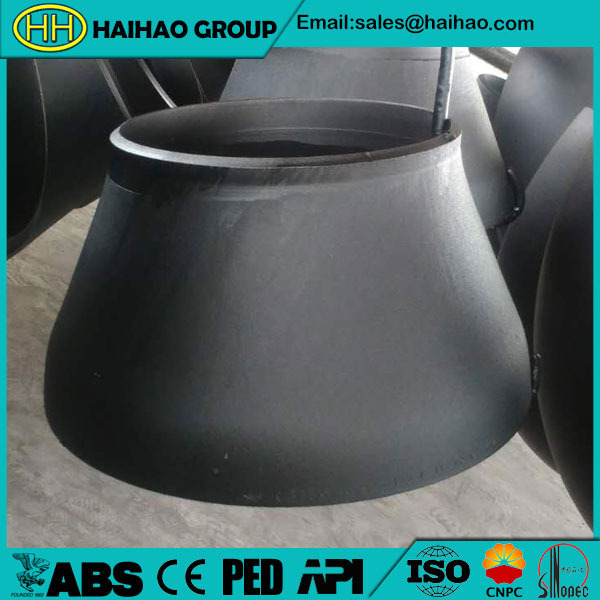 In Hebei Haihao,we mainly manufacture reducer according to GB,HG,ASME,ANSI,API,EN,BS,DIN,JIS,KS,GOST,AS etc.Commonly,there are two kinds:Concentric reducer(Con reducer) and Eccentric reducer(Ecc reducer). Eccentric reducer is manufactured with the smaller end and large end not in an axis,which allows the two ends align with one side.This reducer must be installed with straight side up so that it can prevent trapping air at the pump suction.The eccentric pipe reducers allow simple connection of different sized pipes. We as a first class manufacturer of concentric reducer in China,supply a variety of reducer to satisfy our customers’ specific requirements. Our products are produced strictly according to the required standard. Welcome to contact us when you have any need about all kinds of concentric reducer and other products.